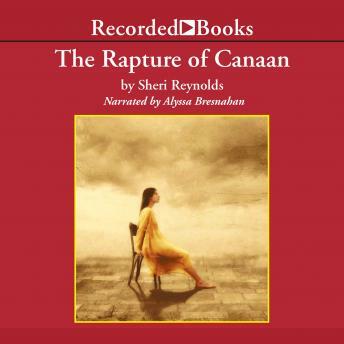 Novelist Sheri Reynolds weaves lyrical prose and folksy dialogue into her spellbinding tales. The Rapture of Canaan, a New York Times best-seller, is the moving story of a teenaged girl clashing with her harshly controlled world. Growing up in a closed religious community deep in the rural South, 15-year-old Ninah Huff painstakingly and obediently follows her church's many rules-she knows that public humiliation follows the smallest transgression. But lately she can't stop thinking about how handsome James is, even when she should be praying. Ashamed and confused, she hides her feelings. However, when the elders assign James as her prayer partner, she takes her first steps down a path away from the security and blind belief of her upbringing. With warmth and compassion, Sheri Reynolds embeds rich wisdom throughout this compelling novel. Narrator Alyssa Bresnahan skillfully brings out Ninah's joy, uncertainty, and despair as she searches for a truth that brings freedom.